RHEONOVA develops an innovative medical device dedicated to Cystic Fibrosis and COPD (Chronic Obstructive Pulmonary Disease) market. Rheomuco measures the viscoelasticity properties of the pulmonary secretions. Rheomuco allows Biotech & Pharma companies to validate the effectiveness of their drug candidates obtaining pharmacodynamics data throughout in vitro studies and clinical trials. The healthcare professionals who follow patients affected by a cystic fibrosis, will use the test as a surrogate endpoint. Rheomuco makes the prognostic of the evolution of the disease possible. Results will be used to adapt and anticipate treatments. For the pulmonologists, Rheomuco is a simple test to better diagnose and monitor the COPD, an under-diagnosed disease that affects 210 million people worldwide. For both diseases, the main benefit for patients is a personalized follow-up of their health status, particularly with a prognostic of the exacerbation phases to avoid hospitalization and heavy emergency treatment. The output is a simple parameter which assesses quantitatively the state of a disease. 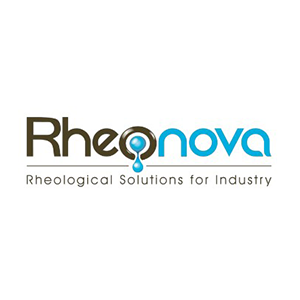 RHEONOVA can offer a wide range of devices to characterize other biological fluids: knowing and understanding their properties can diagnose pathologies, prove quantitatively the efficiency of a treatment from a mechanical point of view, and play the role of a companion test.